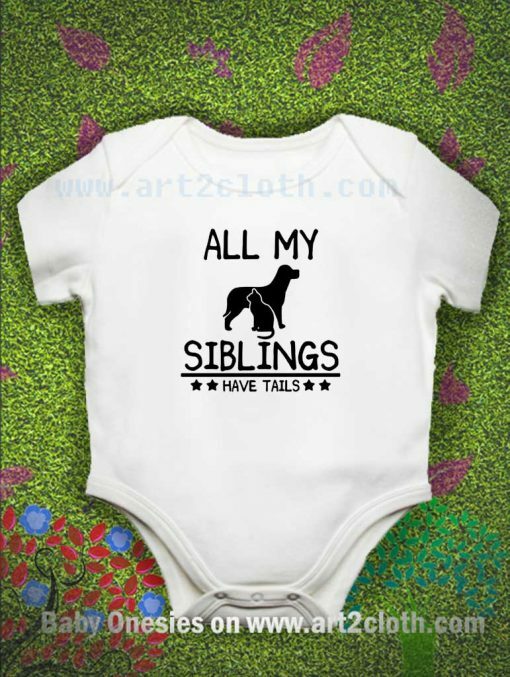 Funny Quote All My Siblings Have Tails Baby Onesie Organic baby bodysuit, Hand printed item all made with organic colors. Grey baby bodysuit with many details on the cut that makes the garment feel comfortable and smooth on your baby skin. I developed a unique method of high quality water print that when you touch the fabric you don’t feel the print! The water print is printed only from the outside.